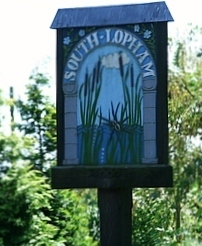 The Annual General Meeting (and May ordinary meeting) of South Lopham Parish Council was held at Pansthorne B&B on 10 May 2012. Minutes from the meeting can be found here (PDF opens in new window). The Chairman’s Report from the Village meeting held on 13 April 2012 at the Lophams’ Village Hall (adopted as the Chairman’s report for the AGM) can be found here (PDF opens in new window).